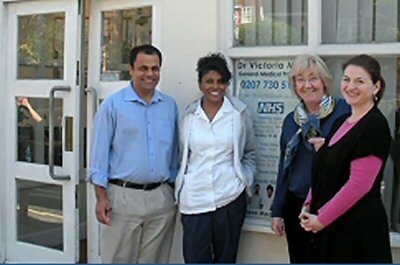 Dr Victoria Muir's Practice is a well-established NHS GP Practice. In this Practice we believe that it is our responsibility to help maintain people in good health rather than simply to treat them when they are ill.
For these reasons we work as a team of doctors, nurses, health visitors and counsellors. We link to the local community-based psychiatric teams, other support teams, drug dependency groups, alcohol support services and social services. The Practice values are Compassion Aspiration Respect and Equality. In addition to treating minor ailments we also provide specialist management of long-term conditions including dedicated clinics such as health checks, baby clinics and diabetes management clinics. We also provide an online service so that you can book an appointment or request a prescription at any time and anywhere. 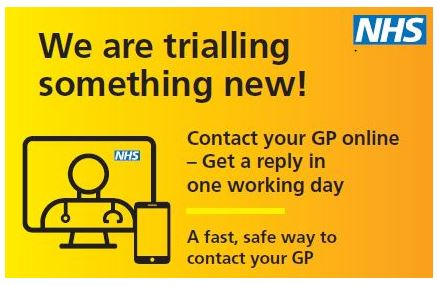 You can now contact your GP online by clicking here if you are feeling unwell. A doctor will review your consultation form and reply to you in one working day, with advice or an appointment to come into the Practice. If you have a child who is feeling unwell, please telephone the Practice. THIS SERVICE IS NOT FOR REPEAT PRESCRIPTION REQUESTS. Please access the "Online Services" tab to order a repeat prescription. Call 111 if you need medical advice fast or call 999 for immediate life-threatening emergencies. You can also check your symptoms by clicking here. Please read more about our Patient Participation Group. Contact Reception if you would like to join - new members are always welcome! Our dedicated team speak the following languages fluently: Greek and Tagalog. For all other languages, we will organise an interpreter for you. FAIR PROCESSING NOTICE - How we collect, use, process and manage your records access. Your privacy is important to us and we are committed to protecting your data privacy rights. All GP Practices are required to declare mean earnings for GPs working to deliver NHS services to patients. The average pay for GPs working in Dr Victoria Muir's Practice in 2014/15 was £51,270 before tax and National Insurance. This covers one full-time GP and 3 part-time GPs who worked in the practice for more than 6 months. Are you in the third trimester of pregnancy? Please come into the surgery for your free whooping cough vaccination. Health visitors are also available every Friday at the Bessborough St. Clinic between 9:30 and 11:30 AM. For more information, go to the Online Services tab.